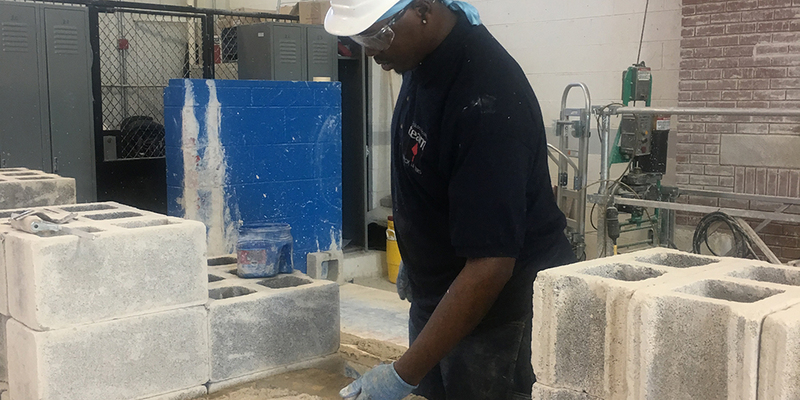 Jackie Townsend, BAC Local 74 Illinois member and brick instructor at the Paul Simon Chicago Job Corps Center, knows that bringing up the next genera­tion of BAC craftworkers goes beyond teaching the tools of the trade. “I tell my students that everyone has the capacity to be great; you just have to find it within. 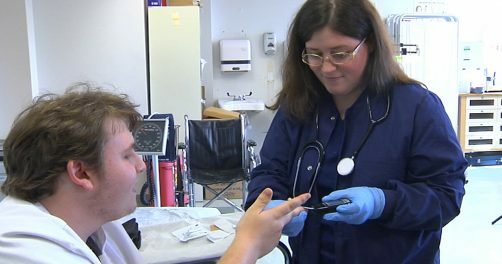 If you invest in yourself, you can become a success through the program,” she said. 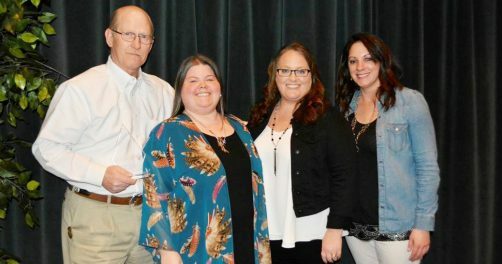 In her two years as an instructor, Townsend has helped many students graduate from the program and find employment as BAC apprentices. She encourages them to go where the oppor­tunity is – even if it means leaving their home in the Chicago area. In turn, Townsend prepares her students for life after Job Corps by helping them find a place to live and teaching them how to budget, save money, and be on their own. Her role as a mentor doesn’t end when her students leave the program, either. 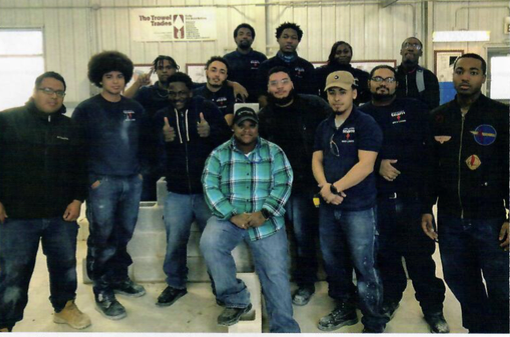 Five of Townsend’s former students are currently living and working together on a refractory job in Louisville, Kentucky with signatory contractor Heimbrock, Inc.
Townsend’s motivational teaching style has kept her class at full capacity – with a waitlist of students from the Paul Simon Center hoping to try their hand at bricklaying. Her students recently nominated her for Job Corps’ Paramount Instructor Award for Women in Nontraditional Occupations. 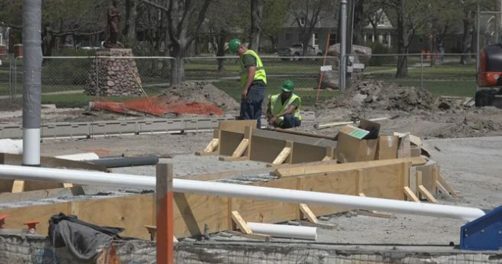 The International Masonry Institute (IMI) operates 34 Job Corps brick and tile training programs at 30 centers around the United States, employing BAC instructors who provide classroom and hands-on training. The program offers a viable pathway to a career in the trades. For more information on IMIJob Corps programs, visit imtef.org/job-corps-program. Townsend’s class of students at the Paul Simon Chicago Job Corps Center. Many are already working as apprentices, or have been placed in BAC pre-job programs. Front row from left, William Zumba, local 4 IN/KY apprentice; Clifton Wilson; Lexeceon Johnson, local 4 IN/KY apprentice; Jackie Townsend; Neo Bucio, Local 4 IN/KY apprentice; Marvin Bahena, local 21 IL apprentice; Alexander Howard, pre-job student at the BAC/IMI National Training Center; and Ronell White. Back row from left, Malik Burrrell; Jaylen Howard; Trayvon Jackson; Semmie Thomas of Local 4 IN/KY; Satire Sawyer; and Joel Washington, pre-job student at the BAC/IMI National Training Center.